The Saskatoon streetcar network five years before it disappeared. 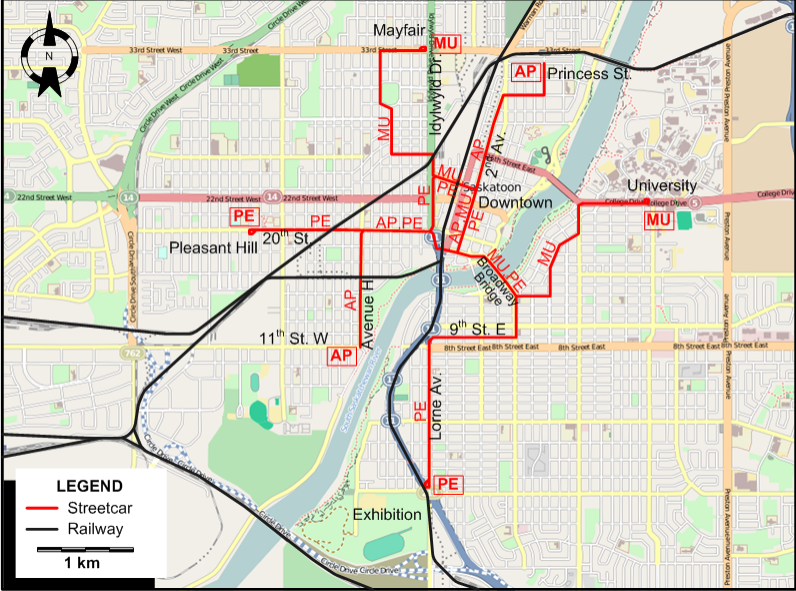 Streetcar routes in Saskatoon were identified by their termini. Abbreviations of these route names are given below and used on the map for convenience, but were not used by the operator. AP Avenue H - Princess Street 11th St. W - Ave. H - 20th St. - Downtown - 2nd Av. - Princess St.
Streetcars: 1 Jan. 1913 - 10 Nov. 1951. 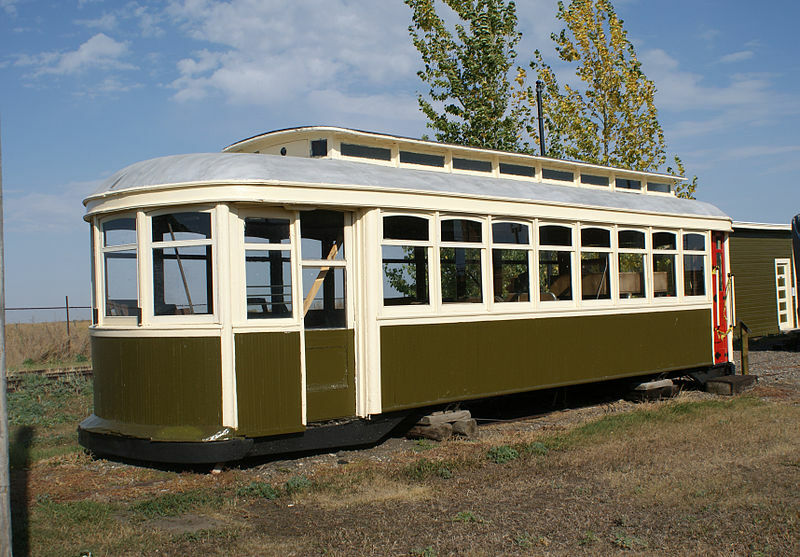 Waman, E. Saskatoon's electric transit: The story of Saskatoon's streetcars and trolley buses. Toronto: Railfare Enterprises, 1988.